I am definitely not anyones go-to source for anything makeup. Who am I kidding, I don't even know what I'm dong when it comes to putting makeup on. But, I have gotten some questions lately, so I figured I would share my updated makeup routine. 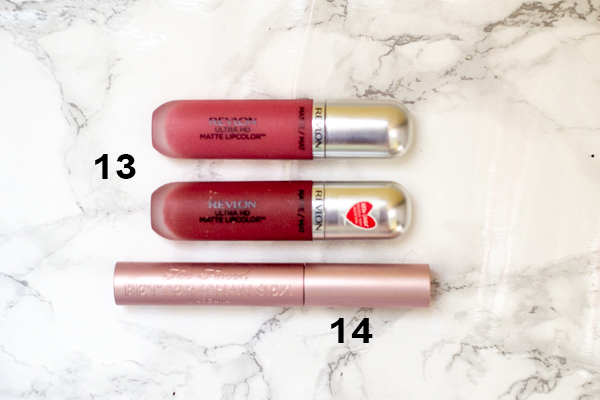 I don't change up my makeup much, so some of these are the same products that I talked about in my first makeup routine post, they are my tried and true products! This is the foundation I use if I'm going for a super natural look. 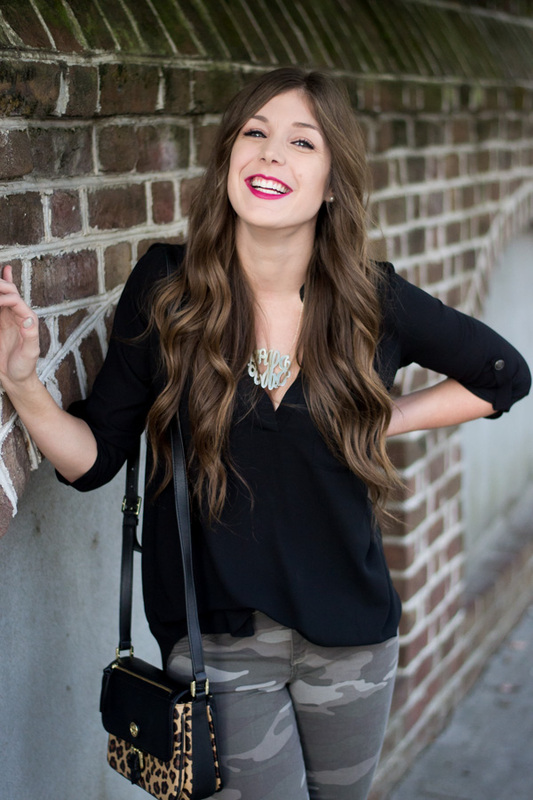 It's very light and airy, and has a little tint to it, so it's perfect for a day-to-day look! I will put a little bit of bronzer on and be good to go! Sigma Brushes are a little pricy, but worth it for the quality. 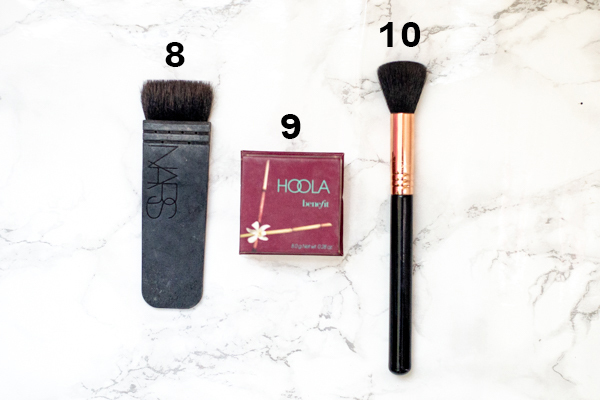 This brush has firm bristles but is also smooth on your skin, blending foundation flawlessly. I use this brush to apply my liquid foundation, but could also be used to apply powder foundation as well. 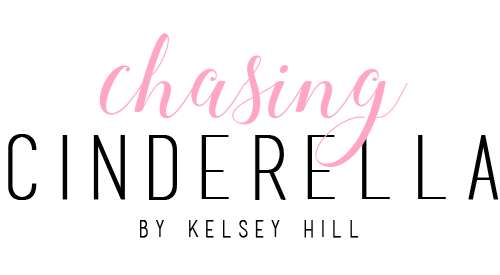 This is the foundation I use for blog photos and when going out/to events! It has more coverage than the NARS foundation I use, but still gives you a very natural look. Bareminerals is by far the best powder foundation I have used! 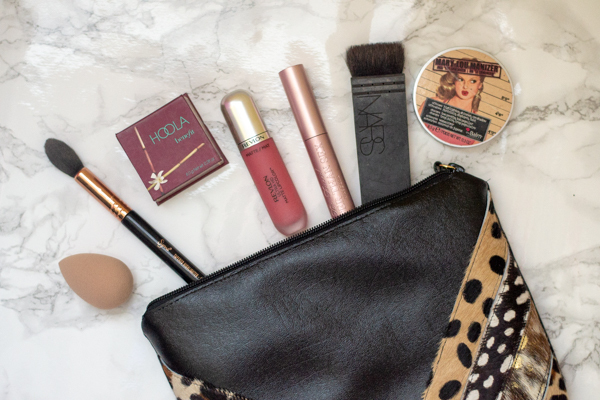 It has the perfect coverage, and lasts all day! 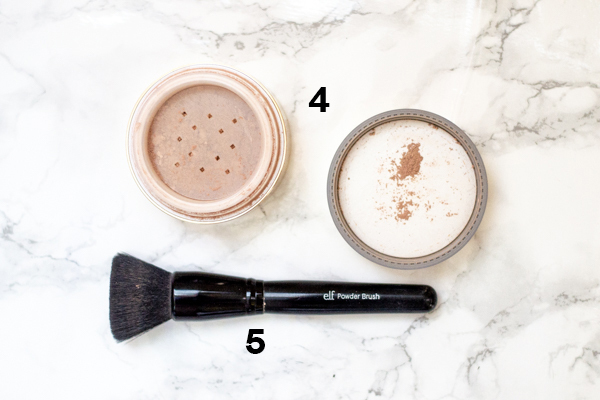 I also love ELF powder foundation, but it doesn't seem to last as long as the Bareminerals. Definitely worth the price! For day-to-day I will wear just this powder foundation, but for blog photos/night out I will wear it over my CC+ Cream. I like to use this brush to apply my powder foundation because it is a lot softer than my Sigma F80 brush and is easier to apply powder foundation. And not to mention it's under $3! I have used a lot of Elf products and I highly recommend them if you are on a budget! 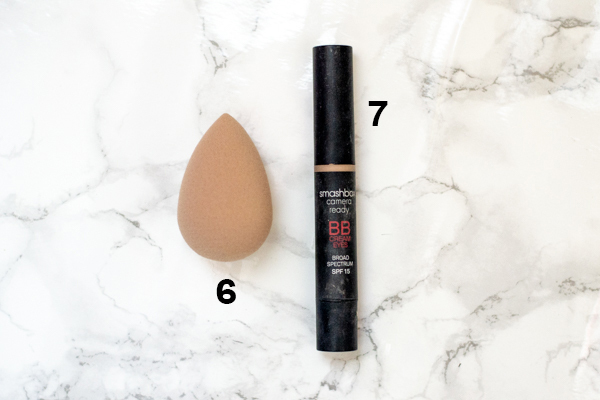 I use a damp beauty blender to blend in my BB Cream. It blends liquid makeup smoothly and flawlessesly. You can even use it to apply and blend your liquid foundation if you want. I use this BB Cream as an under eye highlighter. I have pretty dark circles, so I apply triangles under my eyes to brighten up my face. If I want a more dramatic contour I use this brush. It creates a sharp contour under your cheek bones for the perfect amount of definition. I have been using this bronzer for awhile now, and I am loving it. It is the perfect shade and isn't too shimmery. I like to apply it under my cheek bones and around my jaw line to help make my face not look as wide. If I want to add some color to my cheeks with a subtle contour, I will use this brush. I will also use it to blend out my dramatic contour that I applied with my NARS brush. Highlighter goes with bronzer like peanut butter goes with jelly. If you contour under your cheek bones, you should highlight your cheek bone. I like to put highlighter on my cheek bones, under my eyebrows, and my inner eye, to brighten up my face. This highlighter is the prettiest color, and is not too shimmery! 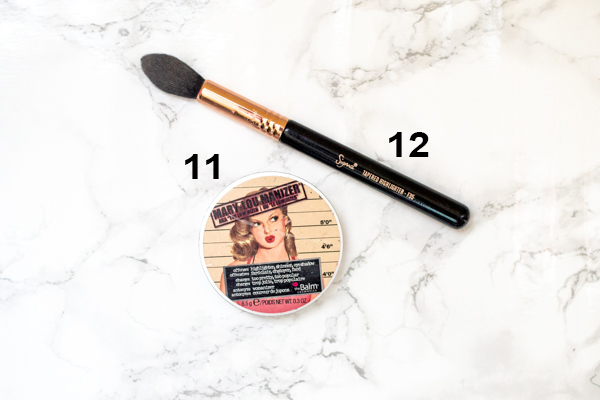 I pair the above highlighter with this brush to apply the makeup smoothly. This is the lip color I am wearing in probably 99.9% of my posts. I love the shades and it really lasts all day! My go-to color is Devotion (the top color)! I literally wear it every day! I have been using this mascara for years and haven't looked back! I have used many mascaras in my day, and this is definitely my favorite. I know the name is a little crazy, but the mascara is amazing! I absolutely love my Take Me Away Travel Bag! This bag is perfect for traveling, and pretty to look at too! 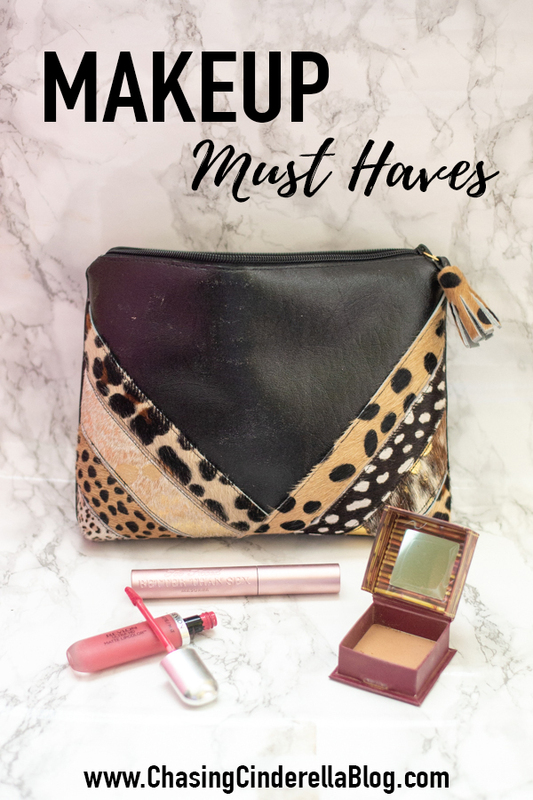 The waterproof interior is roomy and perfect for carrying makeup, and is the cutest polka dot print! It's the perfect size and can hold all of my makeup! I love reading about people's makeup routines! I wear that Hoola Bronzer, too, and LOVE it! Gorgeous products and kit, it's great to hear your routine! I love kabuki brushes for applying mineral powders, they're so soft. I've always wondered about the elf products - I hate buying a bunch of cheap products and then not knowing if it's good or not. Thanks for sharing! 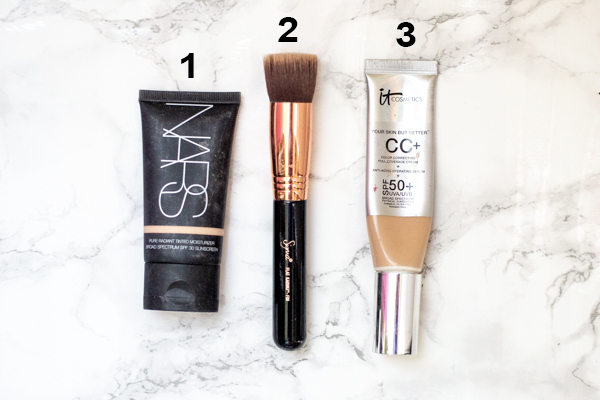 I've been on the hunt for a good foundation brush for powdered foundation - I'm definitely going to check out the ELF one! 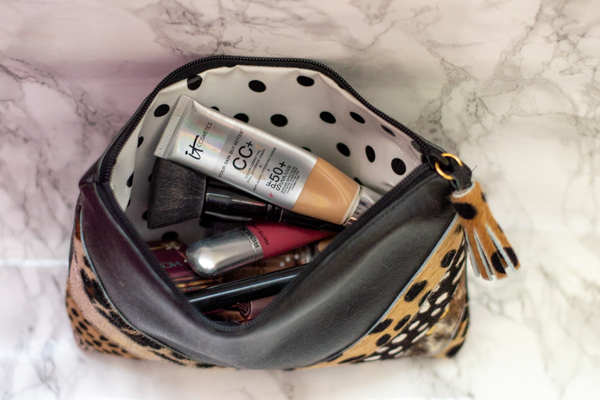 I have heard so much about that It Cosmetics CC Cream! I definitely need to pick it up next time I shop for make-up. Are Jumpsuits Here To Stay?